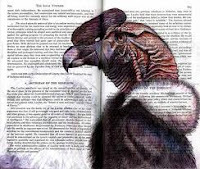 Most of the crime fiction book awards are named after famous authors, characters or movers and shakers involved in the mystery or thriller genres. 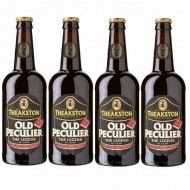 I have always been intrigued with the Theakstons Old Peculier Crime Novel of the Year Award not only because of its intriguing name, but because it is named after a beverage. M. J. Arlidge: Eeny Meeny (Michael Joseph) is a serial killer tale featuring troubled DI Helen Grace. Belinda Bauer: The Facts of Life and Death (Black Swan), another great novel from last year's winner (for Rubbernecker), will have women looking over their shoulders for quite a while after they read it. Parker Bilal: The Ghost Runner (Bloomsbury) features Sudanese private investigator Makana, who works in Cairo to solve the murder of a teenage girl. M. J. Carter: The Strangler Vine (Fig Tree) is a mystery set in India during the early days of the Raj, the East India Company and the Thuggee. It is the first in a series of caper novels introducing the Holmes and Watson duo of Jeremiah Blake, a special inquiry agent, and soldier William Avery. Ray Celestin: The Axeman's Jazz (Mantle), set in 1919 New Orleans and inspired by a real crime, is the first novel by former scriptwriter Celestin. Lee Child: Personal (Bantam), a thriller, has some reviewers claiming aliens have taken over Jack Reacher's body. That would be exciting! Mason Cross: The Killing Season (Orion), a first novel described as fast paced and exciting, features a Reacher-esque protagonist who will give your pulse a workout. Christopher Fowler: The Bleeding Heart (Bantam), a Peculiar Crimes Unit series book with London detectives Arthur Bryant and John May, is reviewed here. Elly Griffiths: The Outcast Dead (Quercus) takes the reader back to prehistoric times with forensic anthropologist Dr. Ruth Galloway. Sophie Hannah: The Telling Error (Hodder and Stoughton) may require the reader to keep a defibrillator nearby. John Harvey: Darkness, Darkness (Arrow) may be Charlie Resnick's last case 25 years after his first appearance. Sarah Hilary: Someone Else's Skin (Headline) is a compelling debut, meant to chill and thrill while twisting the reader into knots. 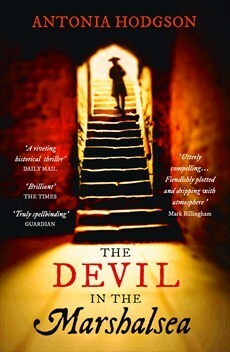 Antonia Hodgson: The Devil in the Marshalsea (Hodder and Stoughton) is historical fiction set in an infamous London debtors' prison in 1727, where crimes take on different guises. Peter May: Entry Island (Quercus), a non-series book, is reviewed here. Anthony J. Quinn: Disappeared (Head of Zeus) makes a case for Irish Troubles that have never ended. Ian Rankin: Saints of the Shadow Bible (Orion) features John Rebus out of retirement and back on the Edinburgh force. Who has been involved in more investigations: Lee Child's Jack Reacher or Rebus? Tom Rob Smith: The Farm (Simon & Schuster) is Smith's fourth, but it's a standalone. What list of crime fiction would be complete without a Scandinavian connection? Louise Welsh: A Lovely Way to Burn (John Murray) is the first in this Scottish writer's apocalyptic Plague Times trilogy. The shortlist will be announced on June 15th, and the winner of the Theakstons Old Peculier Crime Novel of the Year Award will be announced on July 16th at the festival in Harrogate. I couldn't help myself. I picked up the Elly Griffiths, the M. J. Carter, the John Harvey, and the Ian Rankin to entertain me during certain lulls in the Little League schedule. These books are a Mother's Day gift to myself because there has been scarcely a ball caught or hit well for entire games. The tots are young. It does me good to see a high school game now and then to remind me that things will improve.